Rennick Williams atop North Rim at Vail on Saturday, Nov. 17. Beaver Creek opened for the season on Saturday – four days ahead of schedule – and promptly received a fresh coating of five inches of new snow Saturday night into Sunday morning. And Vail, which also opened a couple days early last week, dramatically increased its skiable terrain on Friday. Last season, it took Vail and Beaver Creek until well into January to get to the current snowpack levels, and this is the first time in more than a decade that Vail, Beaver Creek, Breckenridge, and Keystone all opened for the season ahead of schedule. As of Monday, Vail, which saw four inches of new snow on its slopes Sunday morning, is spinning 10 of 31 lifts, with 66 of 195 trails open and 930 skiable acres. Game Creek’s Chair 7 started running on Friday, Nov. 16, as did Northwoods Chair 11. At Beaver Creek, four of 24 lifts are running and 11 of 150 trails are open, with 240 skiable acres. Those numbers are likely to rise steadily, especially later in the week, as forecasters are calling for a pair of storms to move through Thanksgiving weekend. BEAVER CREEK, Colo. – Nov. 17, 2018 – Beaver Creek Resort opened for the 2018-19 ski and snowboard season today, Nov. 21, four days ahead of the scheduled opening date of Nov. 21. This season marks the first time in more than a decade that Vail, Beaver Creek, Breckenridge, and Keystone have all opened ahead of schedule. A combination of some of the best early-November snowmaking conditions in years and more than three feet of natural snowfall this winter at Beaver Creek allowed the resort to open with more than 240 skiable acres, accessed by four lifts, including top-to-bottom skiing and riding and the most vertical in Colorado. Beaver Creek opened with intermediate terrain on Gold Dust accessed via Centennial Express (#6), and beginner terrain at the top of the mountain at Red Buffalo Park, accessed via the Cinch Express (#8) and last year’s new Red Buffalo Express (#5), plus Haymeadow Park and the Haymeadow Express Gondola (#1). 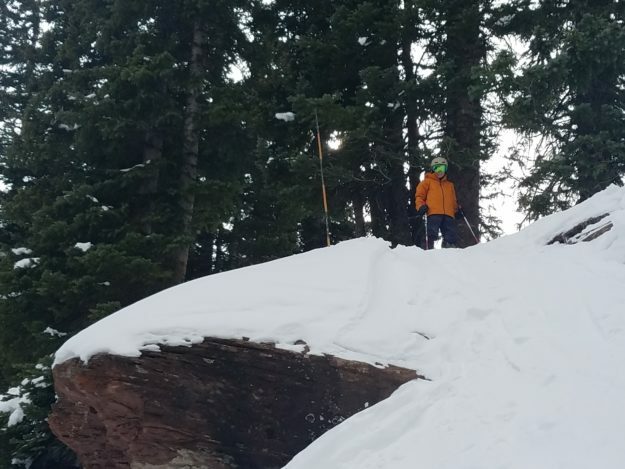 Today, Vail also expanded terrain after opening for the season on Wednesday and is now also operating Game Creek Express (#7), Northwoods Express (#11) and Sourdough Express (#14), increasing the amount of skiable terrain to more than 930 acres. An opening day tradition, Beaver Creek’s World’s Best Chocolate Chip Cookie Competition remains scheduled for Wednesday, Nov. 21, with an exciting array of events. Five finalists will serve up their delightful creations to an eager crowd of cookie fans and one person will walk away $1,000 and bragging rights as the Official Chocolate Chip Cookie Recipe of Beaver Creek for the 2018-19 winter season. At 2 p.m., the aroma of 5,000 cookies will fill the air in Beaver Creek Village, as the judging begins and cookies are doled out to eager guests. 1 p.m.: Music begins in village. Guests can enjoy hot cocoa being served and begin lining up to taste cookies. Tasting booklets will also be available for guests to jot down notes on their favorite cookies! Village Connect displays real-time arrival information for the on-demand transportation services within the Beaver Creek, Bachelor Gulch and Arrowhead communities. The Beaver Creek Village Connect app is now available for download on the Apple App Store or Google Play. The new Village Connect app provides door-to-door, on-demand rides and information to property owners and guests in Beaver Creek, Bachelor Gulch, and Arrowhead. New for the 2018-2019 winter season, Beaver Creek Resort will now provide up to three hours free parking in the Ford Hall and Villa Montane parking garages for guests that arrive after 5 p.m. The expanded complimentary parking in the evening will allow guests more time to explore and enjoy Beaver Creek Village. Beaver Creek Village features an array of evening offerings, including shopping until 8 p.m. during ski season, outdoor ice skating until 9 p.m. and palate-pleasing fare from casual to fine dining.